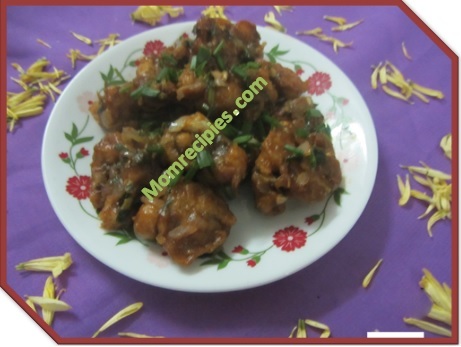 Gobi manchurian is the favorite of any indo chinese food lover.This Gobi Machurian pairs very well with plain noodles ,Veg fried rice . It is very easy to make very tasty to eat.This delicious appetizer is liked by everyone and can be seen everywhere in parties,restaurants ,street stalls etc. 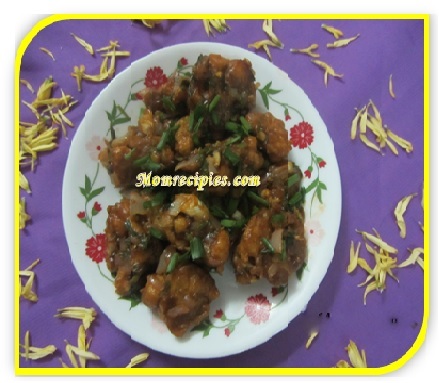 1) Clean Gobi and cut the florets to medium size. 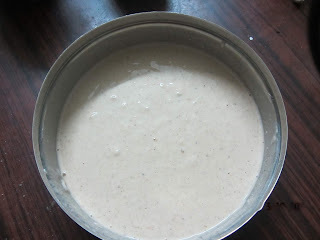 2) Mix corn flour,maida, salt,chilli powder,ginger garlic paste & water to make a medium batter.Mix well and make sure lumps are not there.Keep it aside. 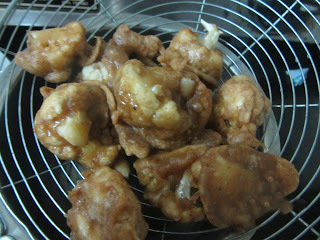 3) Dip the gobi in the batter, deep fry in oil on medium heat, till they turn golden and crisp,takes about 4-5 minutes . 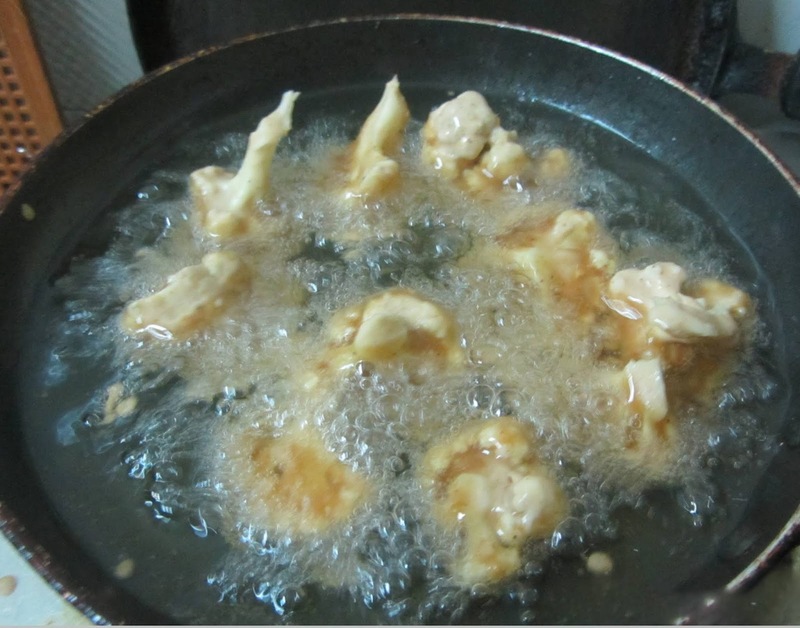 Drain and place them on a kitchen towel to absorb excess oil and keep aside. 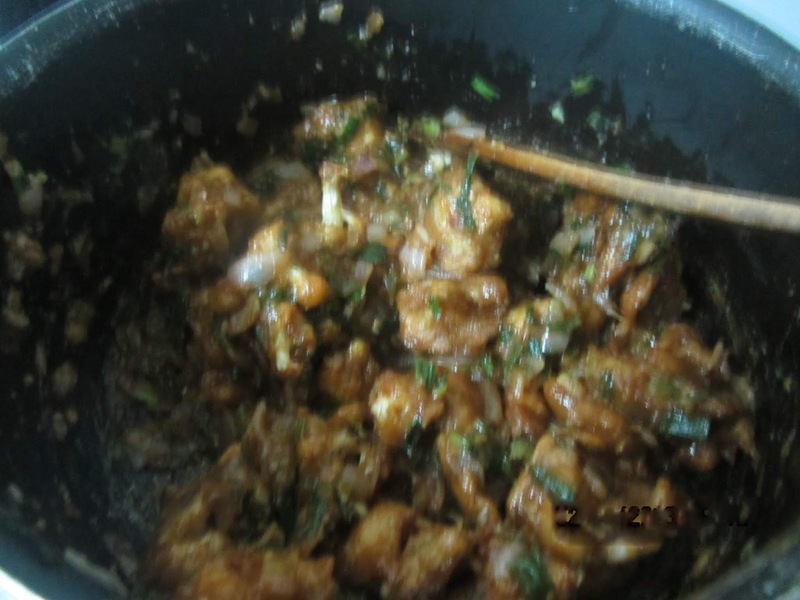 4) Heat 2 tsp oil in a pan, add grated ginger,sliced garlic, sliced green chillies,chopped onion and sauté for a minute till onion turns transparent.Add salt and spring onions and capsicum and stir fry for 2-3 minutes till its skin starts to wilt. 5) Add all sauces & ajinomoto and mix well.Add 1-1/2 cups water and bring to a boil. Reduce the heat and add corn flour dissolved in water slowly. Keep stirring till the sauce starts to thicken. Adjust the seasonings and bring the sauce to gentle boil.Boil till the gravy becomes transparent.Add the deep fried gobi.Boil for two more minutes and remove to serving bowl . 6) Garnish with finely chopped spring onions. 7) Serve hot with fried rice or noodles or Serve piping hot with toothpicks or miniforks and chilli sauce or tomato sauce. 1) If you want more Gravy then add more water to the gravy. 2) You can also add red food colour to make gravy more bright and colorful like served in restaurants.